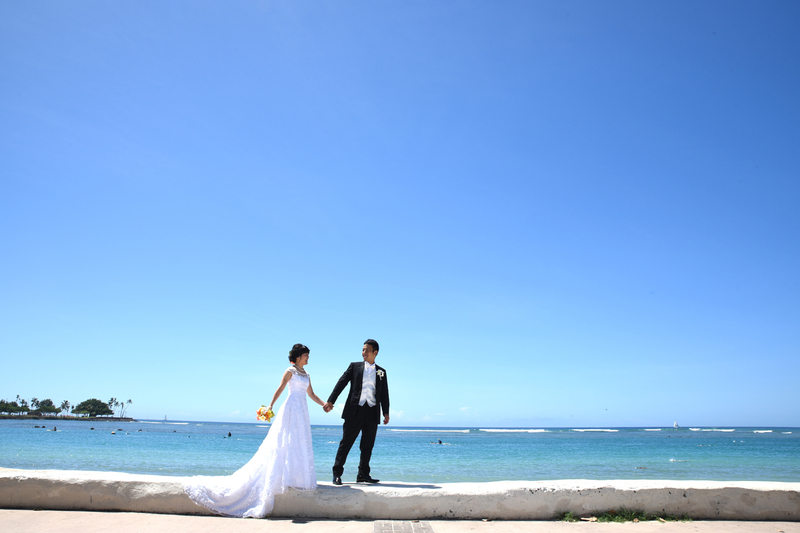 Japanese honeymoon couple Eri and Kohei strolling on the White Wall at Ala Moana Beach Park. Romantic pose as Bride and Groom have a little chat. 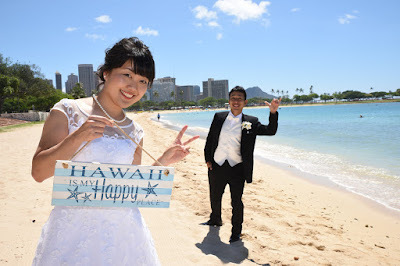 Wedding photo props liven up the shoot. Bring along some fun photography ideas or you can use ours. 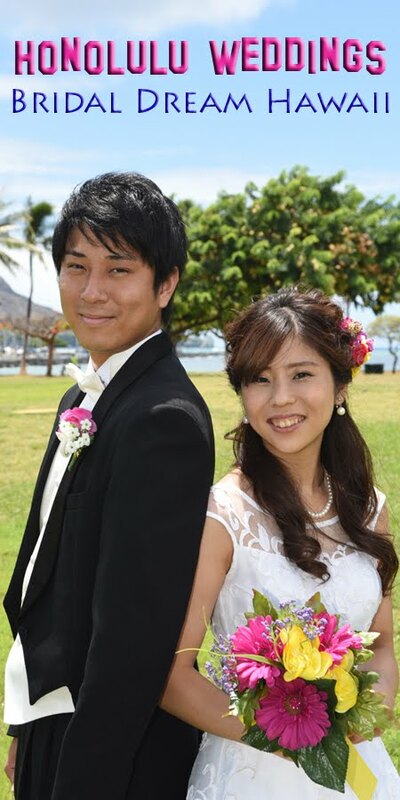 HONOLULU WEDDINGS is our Oahu wedding and honeymoon photo gallery blog page by Bridal Dream Hawaii.